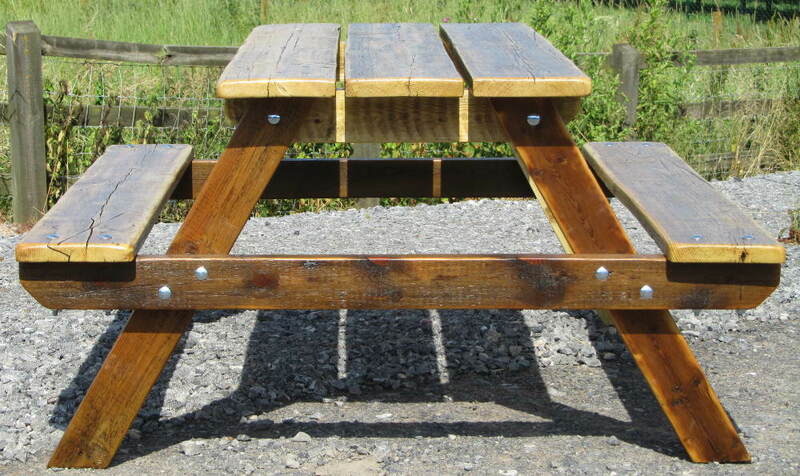 Picnic table with 2 integral benches, made entirely from reclaimed wood. The top and benches are made from pine scaffold boards, the legs and braces from lengths of used 4×2. This is a very solid table that will last many years. I have sanded the wood to a fine finish and protected it with several coats of Danish oil to protect and enhance the natural grain and signs of distress within the wood, so it won’t need treating again for another 12 months. Let me know if you want yours left bare. This table is held together with heavy duty coach bolts, so can be stripped down to make it easier to transport or store the table over the winter months if required. 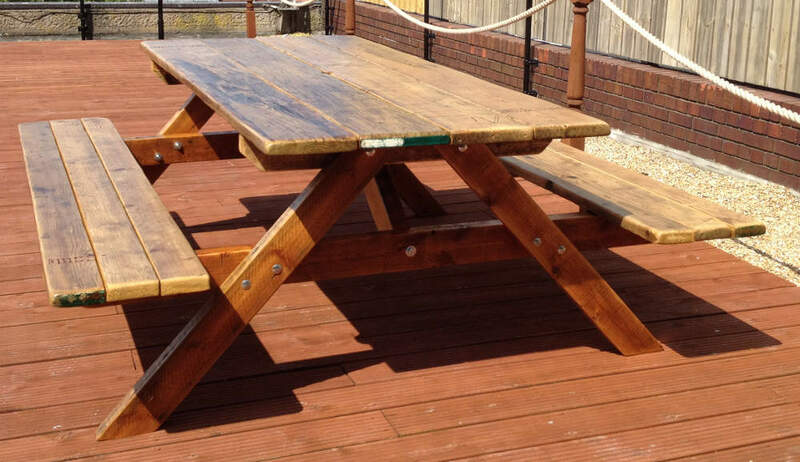 The wood used in these picnic tables is around 3.5cm thick, giving a very chunky appearance. Other lengths are available – contact us to let me know your requirements. 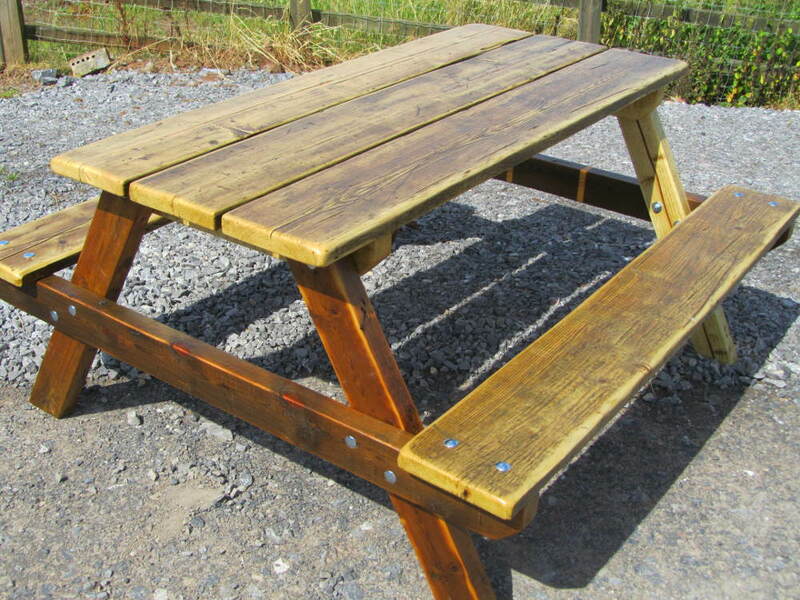 An oversized, heavy duty version of the garden picnic table. This version uses 4 boards on the table top and 1.5 boards for each of the integral benches.